A restored vintage German print from 1914 full of charm and whimsy! Drawn in an Art Nouveau style, a women runs with the birds against a decorative arts backdrop. 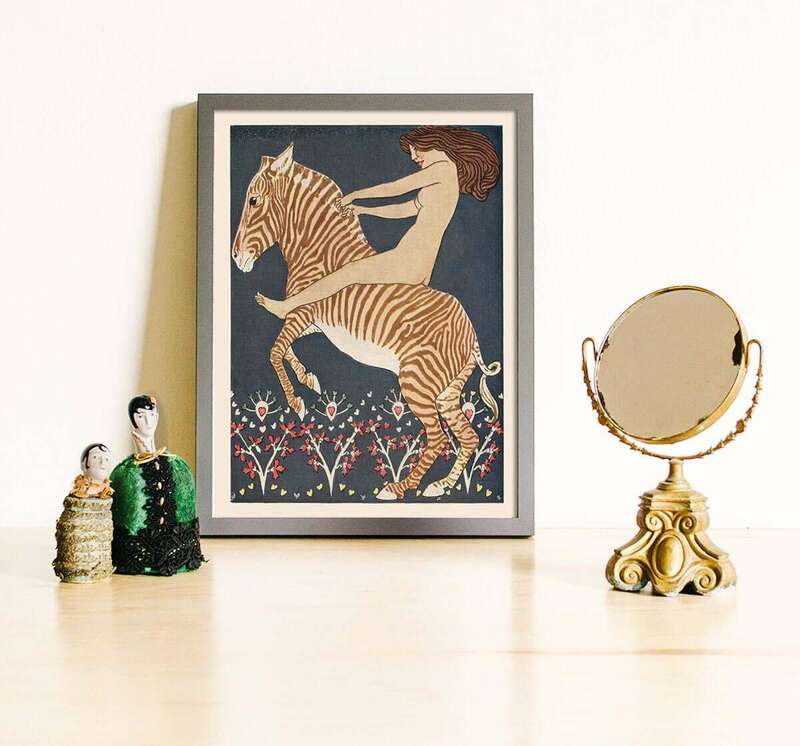 A restored vintage German print from 1914 full of charm and whimsy! 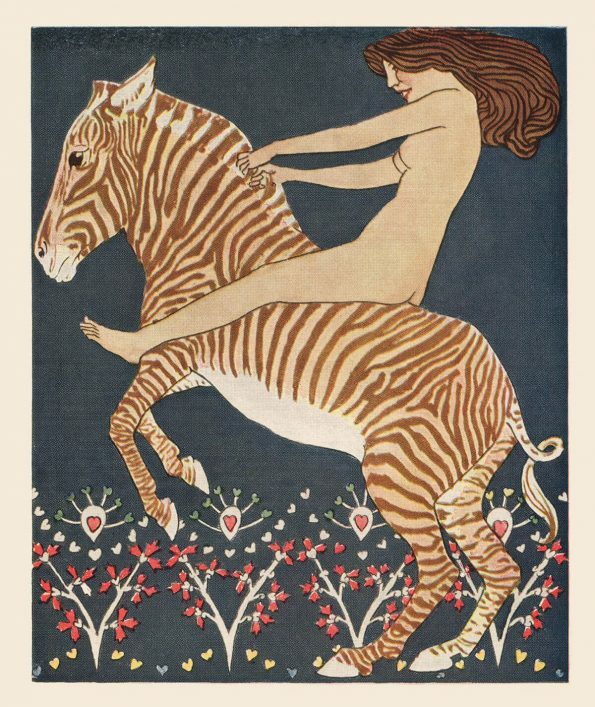 Drawn in an Art Nouveau style, a women rides a Zebra against a decorative arts backdrop.